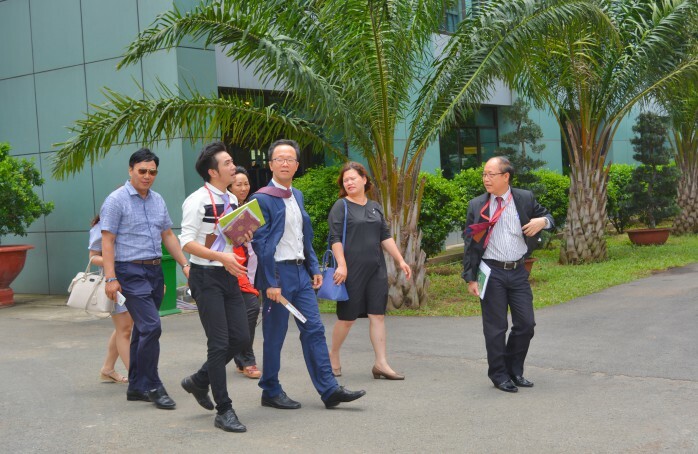 "There are many similarities between Dong Nai Technology University and KUMOH. 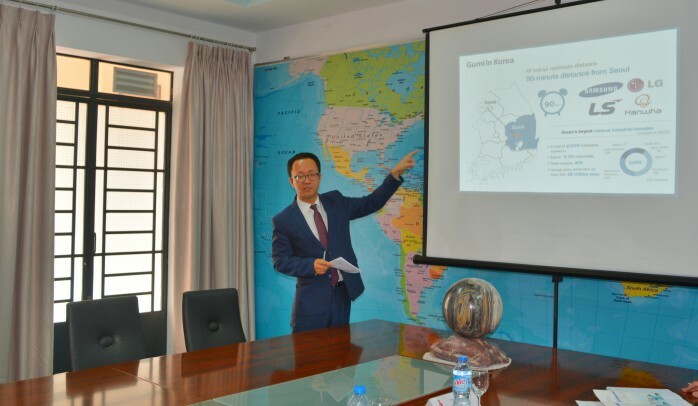 If KUMOH is located between the largest industrial city in Korea, where there are big industrial corporations such as SAMSUNG, LG, DEAWOO, ... Dong Nai Technology University is also located among 30 industrial clusters with more than 2000 enterprises. 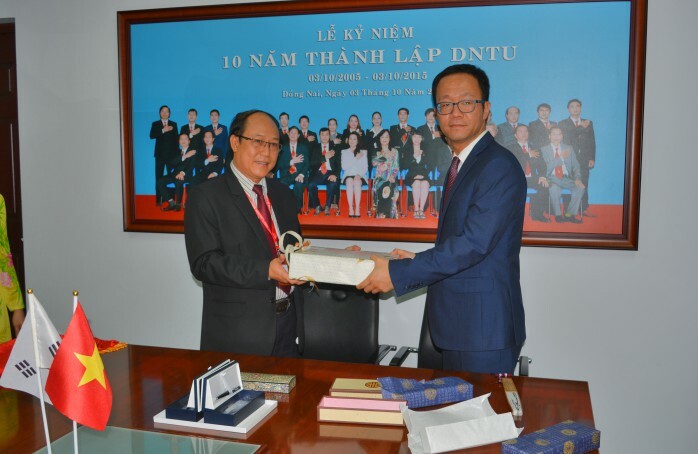 We have in common is the technology school so the ability to cooperate to grow is great "
Dr. Tran Duc Thuan - Vice Rector of Dong Nai Technology University - frankly expressed the prospect of co-operation between DNTU and Korea Institute of Technology (KUMOH) in the morning of August 17, 2016 at Dong Nai Technology University. KUMOH is a national research and development university (R & BD) in Korea. Founded in 1980 and specialized in engineering, the school has been training the practical and creative technical talent needed for the development of the national industry. The school has recognized endless potential for growth, a high quality practical education system and a high employment rate. From 2013, the university has set a new target to become a university of business research and development by creating innovative engineers. The university consists of 5 affiliated universities, 14 independent faculties, 4 graduate schools affiliated with 61 universities around the world. 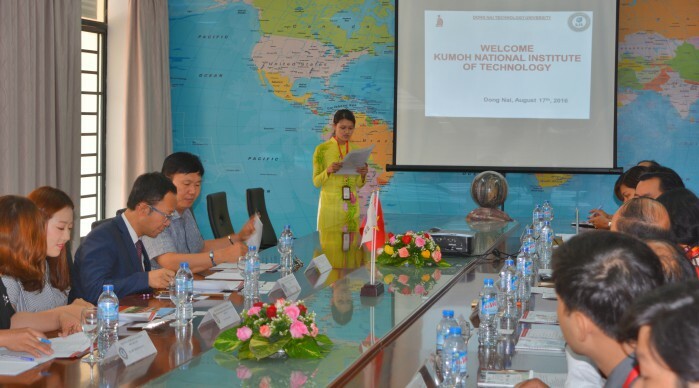 Linking with KUMOH is a demonstration of the strategic vision of DNTU, namely the International Relation Department. Under the direction of the Board of Management, the International Relations Department has worked hard to find the right place to work together for development. Since then, staff - teachers and students have conditions to take off to lift their range, timely grasp the achievements of science and technology in the conditions we have many difficulties and restrictions. In the opening session, Dr Tran Duc Thuan expressed the joy and confidence of DNTU in KUMOH, the achievements that KUMOH has achieved. 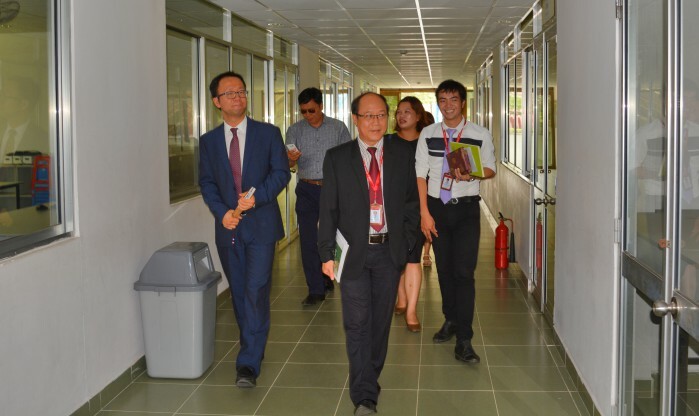 Dr. Tran Duc Thuan also expressed his admiration for a country with rich beauty and rapid development of science and technology such as South Korea, its potentials and experience and KUMOH's training capacity. He wishes both sides to promote their strengths and capabilities to work together to bring about practical benefits. 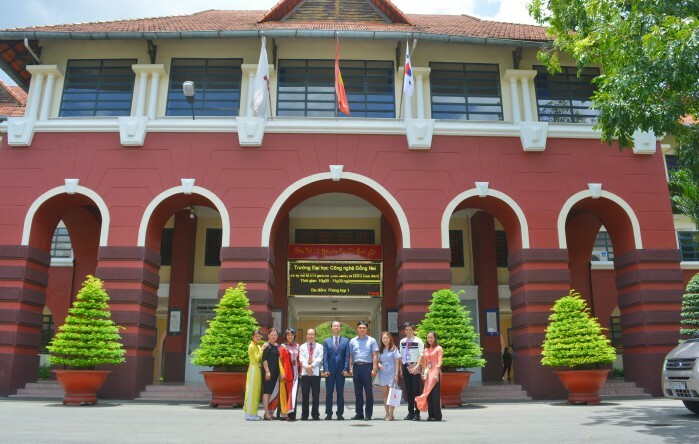 In response, Soo Young Shin, director of the Center for Language Education and International Programs, skilfully referred to the success of the Vietnam-South Korean cooperation through the case of gunner Hoang Xuan Vinh with a human trainer. South Korea just won the gold medal Olympics. He thanks Dr. Tran Duc Thuan for his in-depth understanding and understanding of KUMOH's training issues. In a friendly and open atmosphere, the members of the two delegations have come together to look specifically at the human resources and the possibilities of cooperation and development. KUMOH currently has 7669 undergraduate students, 1597 PhD and PhD students, but 218 professors - doctors teaching. Particularly, the facilities and equipment are very modern and modern, so it is very possible to promote research and practice. Therefore, DNTU and KUMOH discussed the ability to exchange lecturers and students between the two univesity. 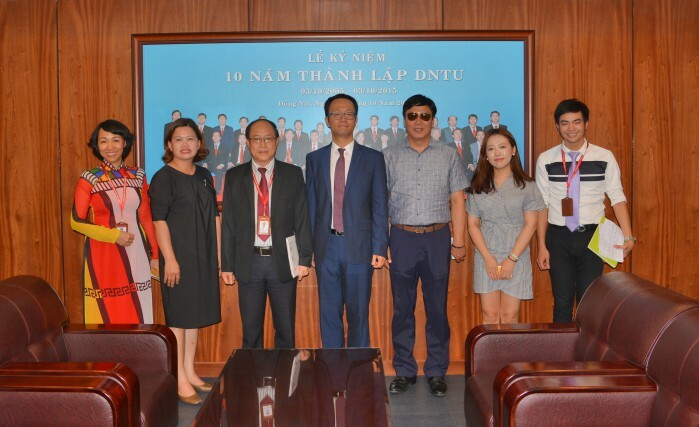 One of the biggest prospects is that students after two years at DNTU will transfer to another two years in Korea and simultaneously be granted two diploma of two schools. KUMOH is willing to provide full scholarships to students with excellent academic results and to create conditions for students to eat, live and look for work. Both sides have also agreed on a number of major issues through the memorandum of understanding M.O.U. 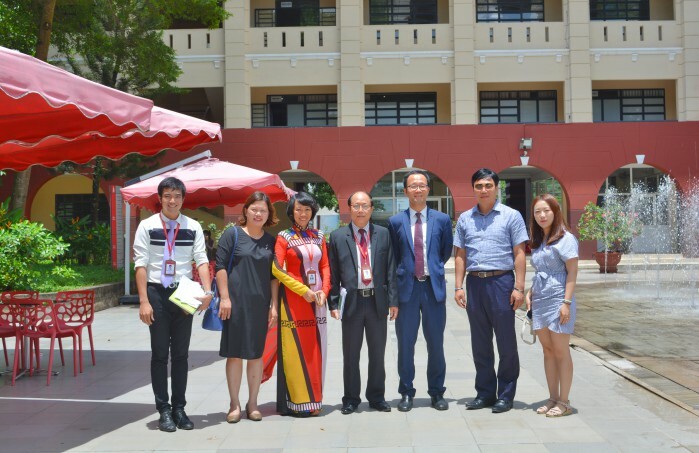 Prof. Soo Young Shin and Dr. Tran Duc Thuan represented the two gift giving university and took pictures together. 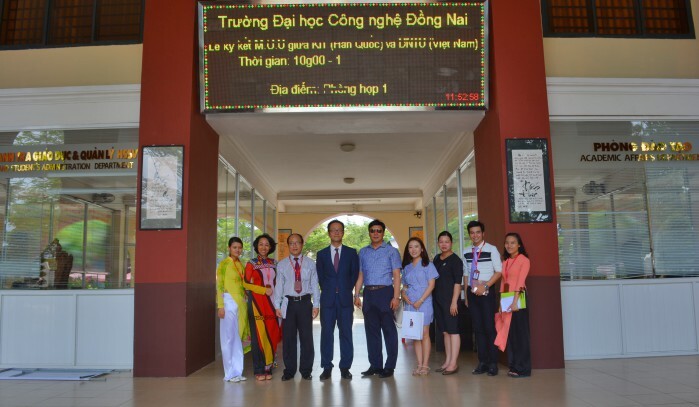 At the end of the meeting, members of KUMOH together visited Dong Nai Technology Univesity. 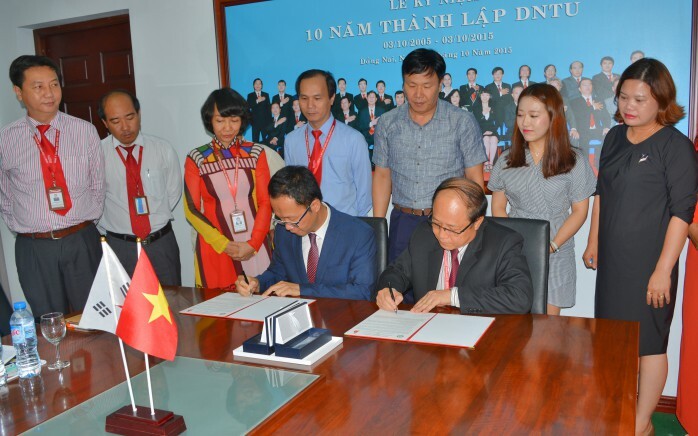 Expressing the joy of development and the sincere warm welcome that DNTU devoted to the delegation, both sides pledged together to promote the activities to soon have the achievements of cooperation bring joy to both two schools. With all the resources we have for our development, we firmly believe in the coming cooperation.